Happy Valentine's Day :) READ ALL - My Valentine's Day Gift Is A Gentle Reminder Of Something That You Will Not Want To Forget Today! As we know, Valentine's Day is a reminder to show love to the special people in your life. We are encouraged to give our loved one(s) with outwards expressions of love by saying "Happy Valentine's Day"; making gifts, giving cards, candy, flowers, jewelry, homemade gifts and spending a little extra time with love one(s); especially for those courting or in brand new relationships. This is "all good" and fun because sometimes we need a reminder to show our appreciation of others. On the other hand, we should extended this same love to family and friends 365 days a year. We should also remember that this applies to us, too. Not just in what others do to show they love you or your showing affection to them; but those Valentine's Day gifts and expressions that you feel so good to give to others, make sure that you are just as focused on being affectionate to you. Fall in love with you! Does this sound funny or corny to you? I hope not as it should not! I am not suggesting that you become a narcissist nor so selfish that everyone knows that you love yourself more than them. I am suggesting that you take a little time to reflect on whether you really love yourself. I am suggesting that you use this Valentine's Day to commit and / or continue to develop a deeper appreciation of all of the wonderful, gorgeous, inspiring, loving facets of you. Use this day to zone in on the importance of those characteristics that you possess while you are doing the Valentine's Day things that you normally do. Yet, if Valentine's Day has traditionally been a day where you spend money you do not have, indulge on candies and foods that are against what you want for your body / believe in on other days, remember hurtful situations and people, or whatever negatively affects you on this day will carry over to other days. You need to leave that alone this year and do what is best for you! If you do not, you can rest assured that one issue or those issues become another negative notch on your belt and contribute to the emotional eating and self esteem issues that hinder your weight loss, motivation to exercise, caring for yourself, how you view others and how they think of you. Most importantly, these issues will continue to affect how you continue to view you! Do You Really Love You? More Than You Love Them? Do You Know Where To Start? Do They Really Love You? Would You Like To Take Better Care of Yourself? My question this Valentine's Day stems from a genuine concern for you. Are you loving yourself the way you deserve? Are other people loving you the way you deserve? Do you realize that it is OK - in fact splendid and appropriate - to love yourself more than you love your spouse, children, family and friends. If not, then this is my gentle reminder to you! You need to make sure to expand the emotional generosity that you extend others to YOU. I am hoping that since you have taken the time to read this blog post, whether you know how to do this yet or not and whether you have issues with what I am saying or not, starting this Valentine's Day and forward you will remember that I gave you this gift for Valentine's Day ... My reminder and show of affection to you is to ask you to learn how to become incredibly committed to and / or continue to make sure that you love you. The rest of what you want and need to be happy will fall into place! Want some quick suggestions on how to do this? I mentioned above a list of a few things to leave alone. Scroll up this page and look for the red text that says "leave that alone this year". Maybe these or something similar apply to you! Do it! Go to a bookstore or check out self help books online. There are thousands of options for you. Pick one with a title that appears to you and read the description. Does it sound like a start for you? If so buy it. If money is an issue right now, go through the same process and then Google it. You will find websites of people that are focused in helping you develop self-esteem, restraint, control, order and love for you! There are thousands of online support groups and communities online. Free and paid; open and private. Do not hesitate to join and read until you are ready to participate in the support group or community. You can get a lot of wonderful advice and meet people that can relate to you. Sometimes a book or online motivational resource is just not enough. If you have some really deep issues that you need to work on and need someone to help you with them, then love yourself to get the professional help that you need. There is no shame in seeking therapy and / or spiritual guidance. 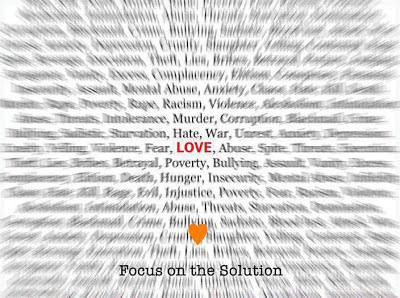 Starting This Valentine's Day, Focus & Learn How To Better Love You! Again, I wish you a very happy Valentine's Day and look forward to connecting with you more throughout the year. Please do not hesitate to share how your 90 Day Challenge is going and what changes you have made to become more focused on loving you, so that you can accomplish your goals and do better in anything that you do!